2 Bedroom Flat For Sale in Stockport for Offers Over £120,000. This well presented two double bedroom apartment will appeal to buy to let investors, first time buyers or those looking to downsize. 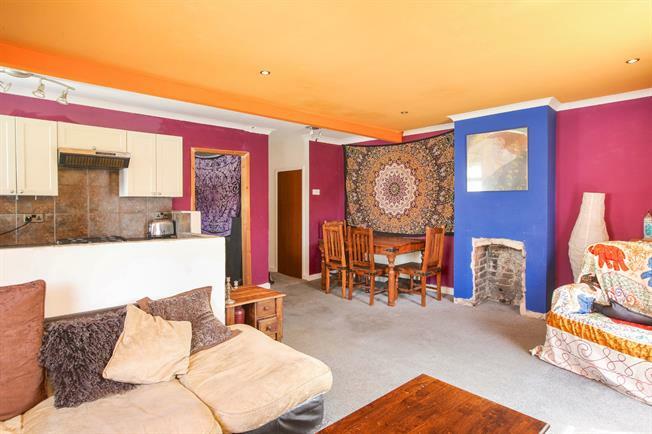 The property is bright and spacious throughout offering well proportioned living accommodation. In brief the property comprises open plan living space with kitchen, living area and dining space, two double bedrooms and bathroom. There is the potential to create further living space via a loft conversion (please see floorplan for approximate measurements). Equally the loft space in the property will act as good sized additional storage. Double glazed uPVC window facing the side. Radiator, downlights. Double glazed uPVC window facing the side. Tiled flooring, ceiling light. Granite effect work surface, wall and base units, stainless steel sink, electric oven, gas hob, over hob extractor, space for washing machine, dryer. Double glazed uPVC window facing the side. Radiator, downlights. Low level WC, panelled bath with mixer tap, vanity unit with mixer tap.